Rewind 10 years and I was barely past the legal limit to order alcoholic drinks. At 21 years of age, I thought I was invincible, without a care in the world. 2019 welcomes my 32nd birthday, and I will be the first to state that I am not invincible. In the last 11 years, not only have I lived my best life, I have witnessed others live their best lives. My husband, Kenny, has been throughu a lot but always confirms he is living his best life. Kenny and got I married in 2018 and what a memory it is. 2018 marked three years from Kenny’s 3rd open heart surgery. Talk about vulnerability; we were both vulnerable during the time surrounding his 3rd surgery. He needed me, and I needed him. We both take heart health seriously, and we both stand behind, which is a new and powerful antioxidant that targets the mitochondria, often referred to as our cells’ “power plants.” Mitochondria convert the food we eat and the oxygen we breathe into energy. Our cells need this energy in order to keep our organs functioning and well. There are more than 200 serious health conditions associated with poor mitochondrial health, so as we age, if we want to help keep our heart and body in optimal shape, looking after our mitochondria is a smart health strategy. The heart is composed of cardiac muscle, which relies on a large number of mitochondria within its cells for energy. As with all other crucial organs, a properly functioning heart is highly dependent on properly functioning mitochondria. As we get older, our mitochondria can slow down. When that happens, our cells are supplied with less energy and antioxidants than they once were, which means we slow down and are more vulnerable to becoming ill. When mitochondria are under stress, they don’t work as effectively and this leaves our cells exposed to possible free radical damage. Free radical damage is a significant risk factor for declining heart health and can increase the chances of developing heart health issues in the future. Looking after your mitochondria can help limit free radical damage at the source. So, you can see how important it is to maintain positive mitochondrial health! That’s why we are now taking MitoQ because we feel confident that we are maintaining and supporting our bodies with this great supplement. For Kenny, MitoQ Heart was a great fit. MitoQ is part of our daily routine, is it part of yours? 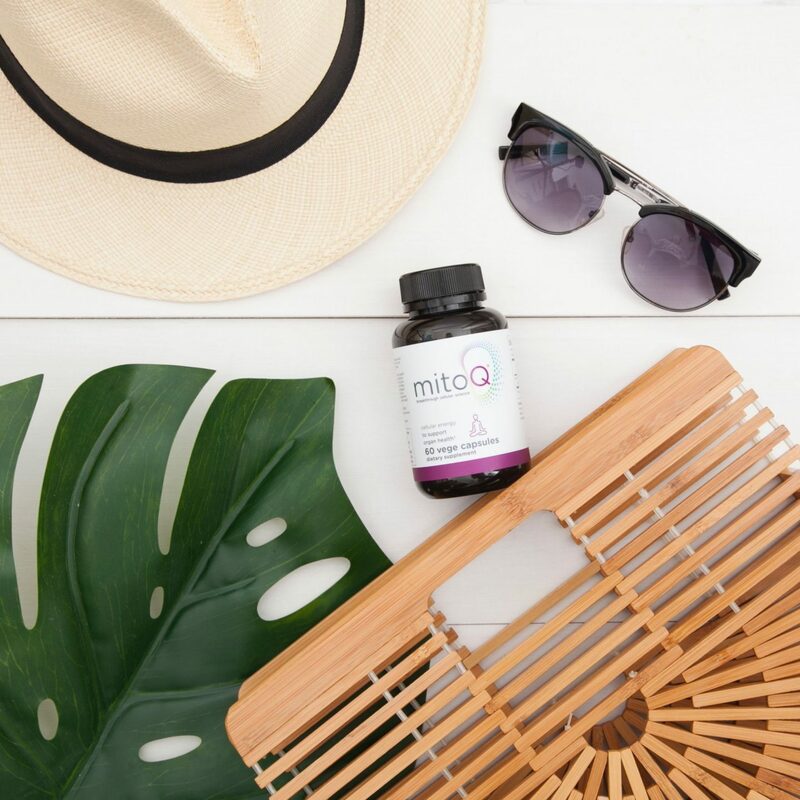 • MitoQ is the world’s first free-radical-fighting antioxidant that can both penetrate the mitochondrial membrane AND act exclusively inside mitochondria, the “power plants” that provide the energy needed by cells to function properly. • Antioxidants, which most people know to be found in certain foods, are also naturally produced in our bodies — and are used to neutralize excess free radicals, to help combat any damage they may cause. However, with age, this natural production starts to decline. 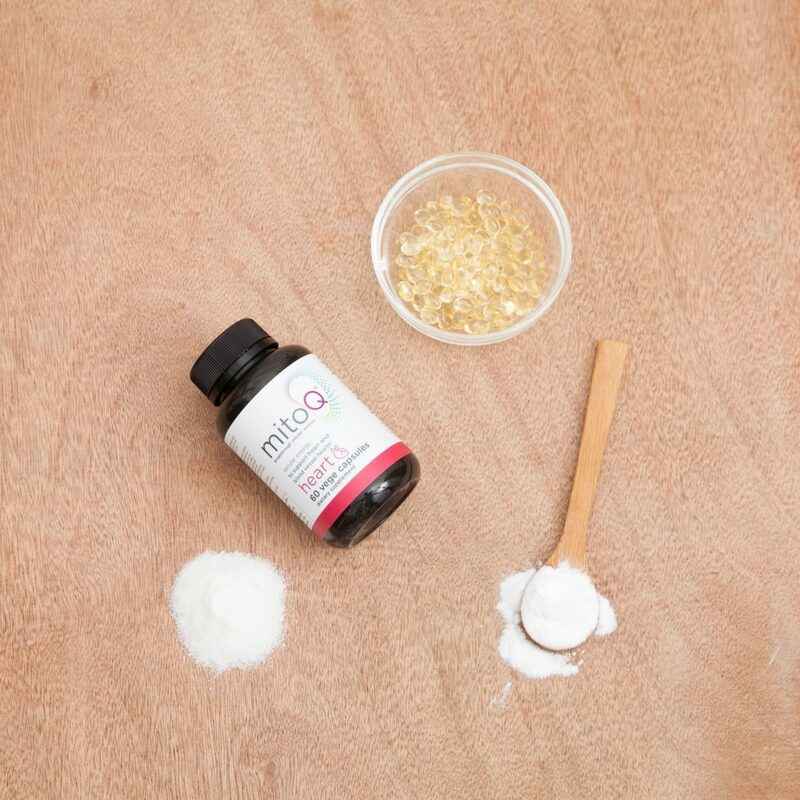 • MitoQ is a unique form of CoQ10 — an antioxidant the body naturally makes — that actually penetrates the mitochondrial membrane and acts directly inside the mitochondria. • Supporting mitochondrial performance supports optimal organ health, maintains energy output, and recovery and helps slow down the aging process.